Just kidding. This is another amazing custom bike and we were blown away by the attention to detail. The orange grabs your attention, but the steel holds it. Wow. What the heck can we say?! 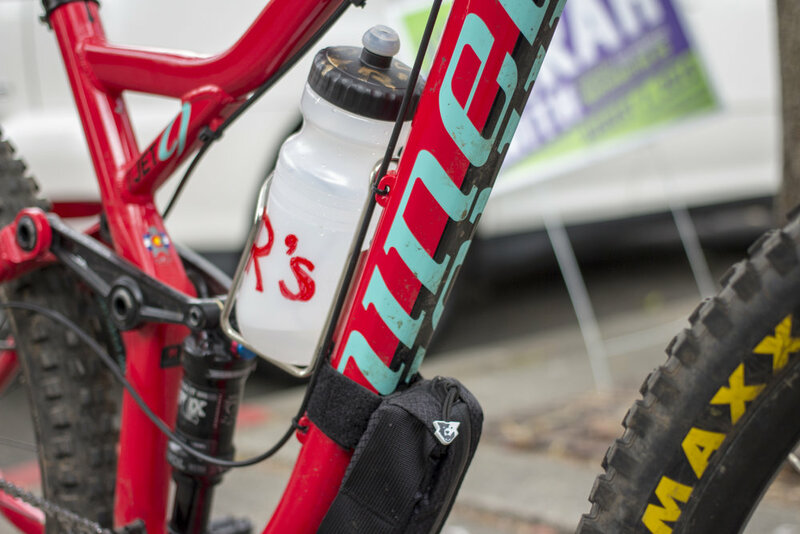 NAHBS Best New Builder of 2018 Eyewater Bikes is all the best stuff that we like. Locally crafted? 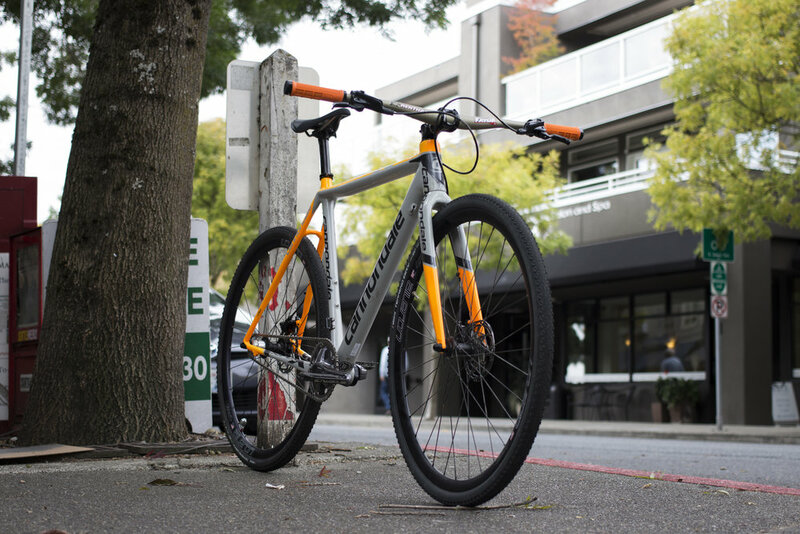 Tick that box—Corey Lowe builds the frames down Lakeside Ave in Mt. Baker. Fully-custom? Check. Handsome? 110%. 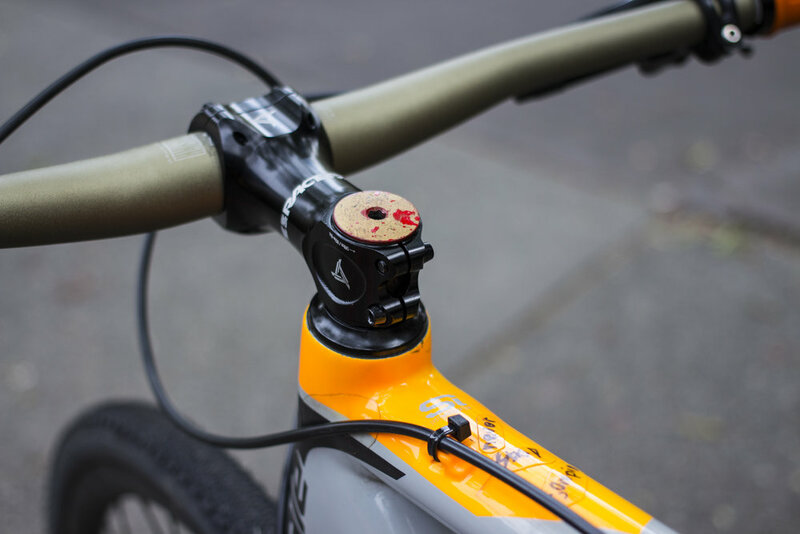 Corey's method makes sure that you don't end up with three inches of material above the top tube and a top tube halfway down the head tube. It'll always look like a bike. Performance? Uh, yeah. But like Vittoria Corsas, while the speed is unbelievable, the comfort is what makes it dreamlike. These bikes have the best carbon layup and molding we've ever seen. Go check out the Eyewater Instagram to see the cross-sections and be astounded. Corey says he could do a colorful finish on the frames, but he prefers to leave the carbon raw so you can see the beautiful iridescence in the tubing. The decals were inspired by a pair of holographic Doc Martens. The NAHBS judges were understandably blown away by the craftsmanship evident at every seem and joint. These aren't glued like normal carbon lugs—they're wrapped with carbon and cured together so that the frame is stiffer and stronger. Incidentally, it's gorgeous. There's a thing that happens in bike shops when you see something incredibly rare for the first time and suddenly see another in the next few days. We got that with Condor for a little bit. This is our friend Scott's beautiful blue Italia RC. The classic steel handmade Condor, complete with polka dots! How fitting. 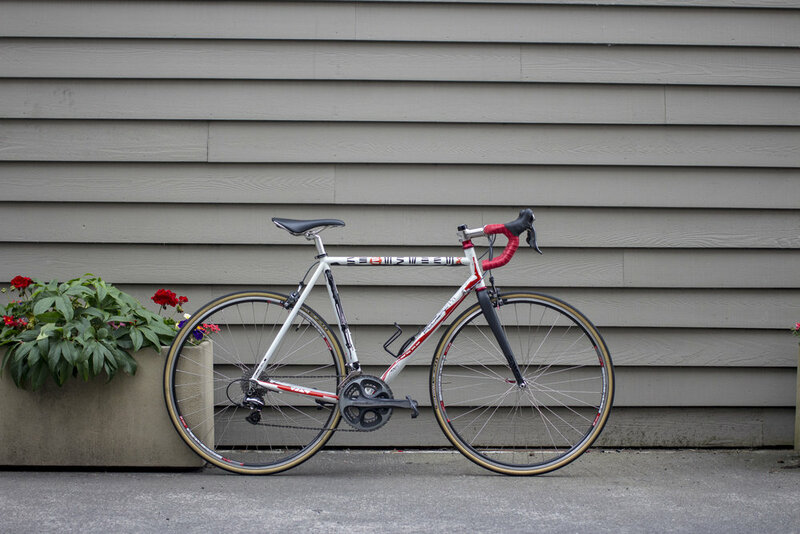 Campy goodness is the only choice on a bike called "Italia RC," even if it's really British. There's a bit more Italian flair goin' on here, though. An all-round classy, elegant, and sophisticated machine. A well-tailored tuxedo to a Venge ViaS' highlighter yellow bro tank. The phrase "bespoke carbon bike" is enough to make even the crustiest road freds turn away from a Venge ViAS and take note. Condor are a brand from London who make painfully gorgeous and luxuriously smooth steel and carbon bikes. Black, orange, and Campy Record is a beautiful way to dress up such a fantastic frame. Oh, and those shoes! Italian group and Italian tires = correct. If you like the look of this bike and want in on the action, it's time to buy a plane ticket to England since they're only available from the 49-53 Gray's Inn Road storefront. Everyone knows we love these tires, mostly for the ride quality and partially for the look. It's awesome that every bike has the potential to be the greatest bike in the world. 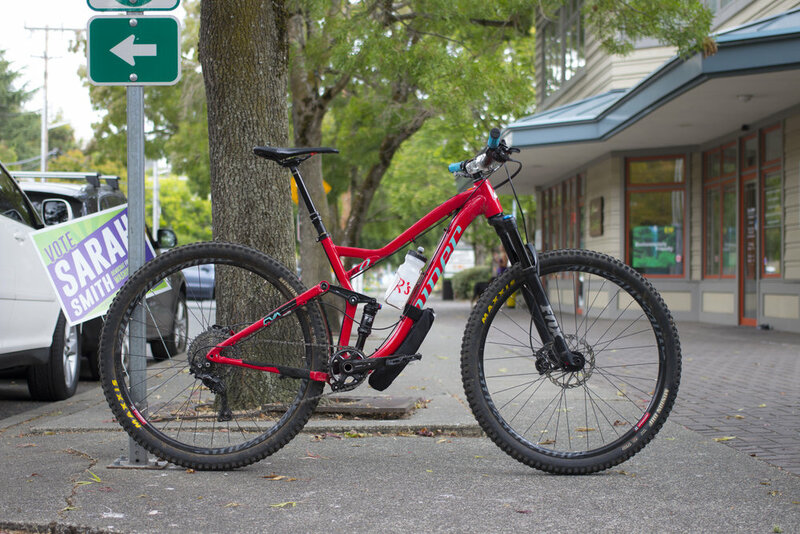 It doesn't matter whether it's a locally-made custom geo Eyewater or the rigid 26" mountain bike your uncle had behind his garage: any bike can be the best bike, and every bike is special. But there are always going to be frames, builds, and paint schemes that demand examination and attention and draw second looks. Pegorettis will always fit that description. This Marcelo was painted by Dario Pegoretti in the way only he does, and that's exactly how it should be. The PDJ Crew™ have taken to calling him the "Michelangelo of Steel," but his paint is so modern and avant-garde that it would be appropriate to liken his style to Basquiat. The build ticks many of our "favorite things" boxes. Vittoria Corsas, Lizard Skins bartape, White Industries hubs... the list goes on and on. And now, in 2018, it's time to induct Dura-Ace 7900 into the classic component hall of fame. The first legitimate electronic shifting and the last high-end five-arm Shimano cranks came from the 7900 era.